This is a very common problem presented to a veterinarian. Often, owners consult a veterinarian as a last resort and are at the end of their rope. Most of the time, this is a medical issue and not behavioral! 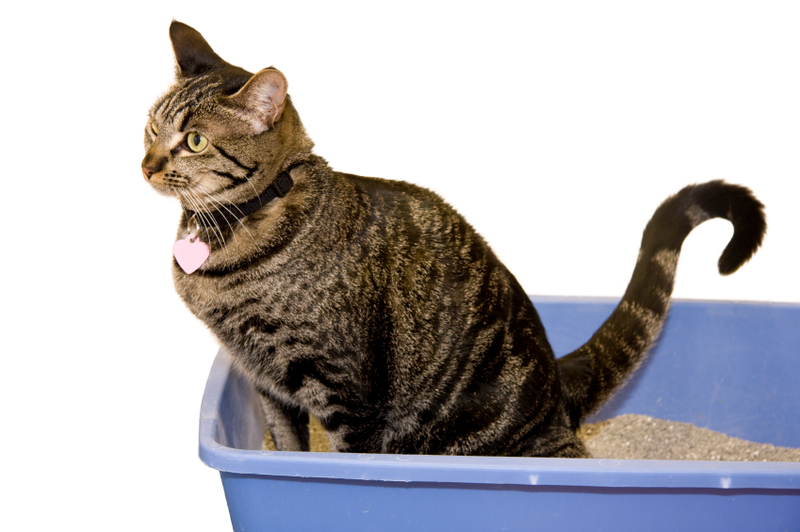 Using the litter box is an innate behavior. When the cat house-soils he is trying to tell you something. Owners can often identify a stressor and labels the offender as spiteful or angry. Stress brings on illness. A sub-clinical disease will manifest when the animal is stressed. The medical issue may be a bladder infection or another illness not related to the urinary tract. A thorough exam and some lab tests usually reveal the problem. The medical issue and the stressor will be addressed at that time. Please don’t try to fix this on your own. It’s frustrating for you and dangerous for your cat. See your veterinarian right away if your cat is urinating or defecating outside his box. Hyperthyroidism is another common disease of older cats. The thyroid gland produces a thyroid hormone that regulates the metabolic rate. Hyperthyroidism is a disorder of over production of the thyroid hormone. This is most often caused by a benign tumor in the gland. Less than 2% of hyperthyroid cases involve malignancy. Symptoms are similar to other diseases and blood work often is required to confirm the diagnosis. These symptoms are: weight loss with an increased appetite, drinking a lot of water and urinating a lot, vocalization, and periodic vomiting or diarrhea. Secondary complications are hypertension, cardiac disease, and retinal hemorrhage resulting in blindness. There are several treatment options and prognosis is good if caught early. There are many misconceptions concerning spaying and neutering and it is no wonder why cat owners become confused. Spaying or neutering may be one of the best steps you will ever take in keeping your pet safe and healthy. The following is a list of commonly asked questions and answers that may clarify these misconceptions for you. Some veterinarians advise waiting until my cat is at least 6 months old before spaying or neutering. Why should I consider having it done earlier? The bottom line is the earlier spaying or neutering is done, the better it is for your pet. Your pet’s health and behavior will be greatly improved with early spaying and neutering. Spaying females before they experience their first heat cycle, usually at 5-6 months of age, will help protect them against many forms of cancer, such as mammary gland (breast) cancer. Spaying early also eliminates the risk of birthing complications. Neutering early will protect your male kitty from testicular cancer and from developing poor behavior patterns, such as spraying. It is always easier to prevent behavior problems before they occur than it is to correct them. There is always some risk while a patient is under general anesthesia, whether the patient is human or animal. Veterinary procedures are very similar to human medical procedures. The risk is usually very small in healthy animals and we try to eliminate as much of the risk to your cat as possible by requiring all cats have a complete exam before kitty goes under anesthesia. You can also help further reduce the risk by having pre-surgical blood work performed on your cat. Pre-surgical blood work checks how well the kidneys and liver are functioning and how well your cat will eliminate the anesthesia. Will spaying/neutering cause my pet to become overweight and lazy? Spaying or neutering your cat will not necessarily make your pet become overweight or lazy. Heredity, diet, and how much and what type of exercise your cat receives has much more influence on the weight and attitude of your pet than does the surgery. whether your cat stays indoors or outdoors. Indoor cats live longer than outdoor cats. Neutered and spayed cats usually live longer than intact cats. Mixed breed cats tend to outlast purebred cats. Cats that receive consistent preventative health care and vaccinations tend to live longer than those who receive intermittent or no health care. Cats of normal weight tend to live longer than overweight cats. 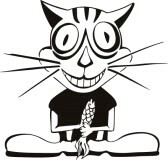 Low-fat, high-fiber diets can increase a cat’s life expectancy. Last but not least, love and attention from their owners positively affects a cat’s life and may increase life expectancy.